1. Richard Burton: Hamlet 1964. 2. Kenneth Branagh: Hamlet 1996. 3. Laurence Olivier: Hamlet 1948. 4. Derek Jacobi: Hamlet 1980. 5. Benedict Cumberbatch: Hamlet 2015. 6. Mel Gibson: Hamlet 1990. 7. Nicol Williamson: Hamlet 1969 and 8. Kevin Kline: Hamlet 1990. 9. David Tennant: Hamlet 2009. 10. Ethan Hawke: Hamlet 2000. 11. Campbell Scott: Hamlet 2000. TBD. 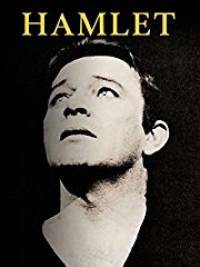 Innokenty Smoktunovsky: Hamlet 1964. 12. Arnold Schwarzenegger: Hamlet 1993. How Many Hamlet Movies Are There? That depends on how you want to count them. Two recent film versions of Hamlet, David Melville in 2010 and Bruce Ramsay in 2011, both cut the play to a running time of under 90 minutes. Iain Glen played Hamlet in scenes of the 1990 film version of Rosencrantz & Guildenstern Are Dead. There are many film adaptations “inspired” by Hamlet, from The Lion King to the just released Haider set in Kashmir. A good Wikipedia article says there are more than 50 film adaptations of Hamlet. My counting criteria is more strict (a reasonably intact version of the original text) which is why Melville and Ramsay fall here. This criteria should exclude Schwarzenegger from the running too, of course, but Arnold was simply too funny to consign to a footnote. Here is my discussion of the Thematic-Structural Perfection of Hamlet, which is an odd claim to make since the plot of Hamlet sure seems like a hot mess. I believe I make my case, however. Also I quite fond of my 100 word review of As You Like It and my 100 word review of Henry V.
Have you seen the recent version with David Tennant? I don’t think he was the best Hamlet ever, but Patrick Stewart was marvelous as Claudius. Two complaints: I don’t think Tennant handed the soliloquy as well, and I didn’t like the actress who played Ophelia. But I loved the set, and they way they modernized it. Haven’t seen it, but knowing Stewart plays Claudius bumps it way up my to-do list. Claudius is often portrayed as weak, in part because he struggles with his guilt, but he has to be ruthless enough to kill his brother, and I can see Stewart handling that well. Stewart had a nice turn as Macbeth which I caught on Netflix. Played him as not too bright, which worked pretty well, but his Macbeth was the most self-reflective not-too-bright guy I’ve ever seen. Liked the death scene too. I see your point about Branagh turning his over-acting into a virtue, but it’s still way over the top for me. Too much HAM in his Hamlet. I won’t argue with anyone who thinks Ken gives us too much acting, because he sure does serve up a lot — except in Henry V.
Hey, these are great tips and thank you! I didn’t know about Smoktunovsky and I’m wondering if I could lay hands on a subtitled version? As for Ian Glen, is it his performance in “Rosencrantz and Guildenstern Are Dead?” I saw that one twenty years ago, and it would be easy enough to see again. Would have to decide if there is enough Hamlet in his Hamlet … or if he’d have to go right above Arnold as a footnote. Yeah, I meant “Rosencrantz and Guildenstern Are Dead”. I also watched it long ago, but I remember this Hamlet to be as much Hamlet as he should; more Hamlet than some “proper” ones. I think it could be fun to see what happens when Hamlet goes into Russian then back out to English. I’ll have to see about the Amazon price. My rankings are for the most part neither here nor there – I just hope the short descriptions help folks find a version that sounds good to them, regardless of how I feel about it. It’s definitely a possibility. It hasn’t opened in my city yet. Please do check out the latest adaptation of hamlet. It’s an Indian movie called “Haider”. It’s one of the best modern day adaptation of Hamlet & has got a 8.8 rating on imdb. I used this for a little bit of research for a presentation on Hamlet for a class I’m taking. The Schwarzenegger clip was especially hilarious and I’ll be showing it to my class! Thank you! You’re welcome and I’m glad to help. I always conceived of the post as a useful starting point – a first word on the topic, but certainly not the last. How is the ghost scene in Branagh’s version “unwatchable?” I think it’s actually one of the better versions. For me, it’s the combination of the “Hammer Films” horror style and certain shots that look stolen from the “Knights Who Say Ni” scene from Holy Grail. Also the really fake ground opening up and expelling the really fake smoke – although you could classify that under “Hammer” I suppose rather than make it a separate category. Just caught the 1990 Mel Gibson Hamlet on TV and I must say I was impressed. This is the one for me. Mel Gibson is my favorite Hamlet. Everyone played their role to the true character, for me. Excellent review. I hope you had a chance to see the Russian one– it is “top five” in my opinion. I really connected with Richard Burton’s performance. In particular, I felt the way that he and Gielgud handled Hamlet’s psychological development was excellent.